The similarity to the FW version is totally coincidental, I'm sure. It is, however, considerably cheaper. I'd almost buy it as a terrain piece. 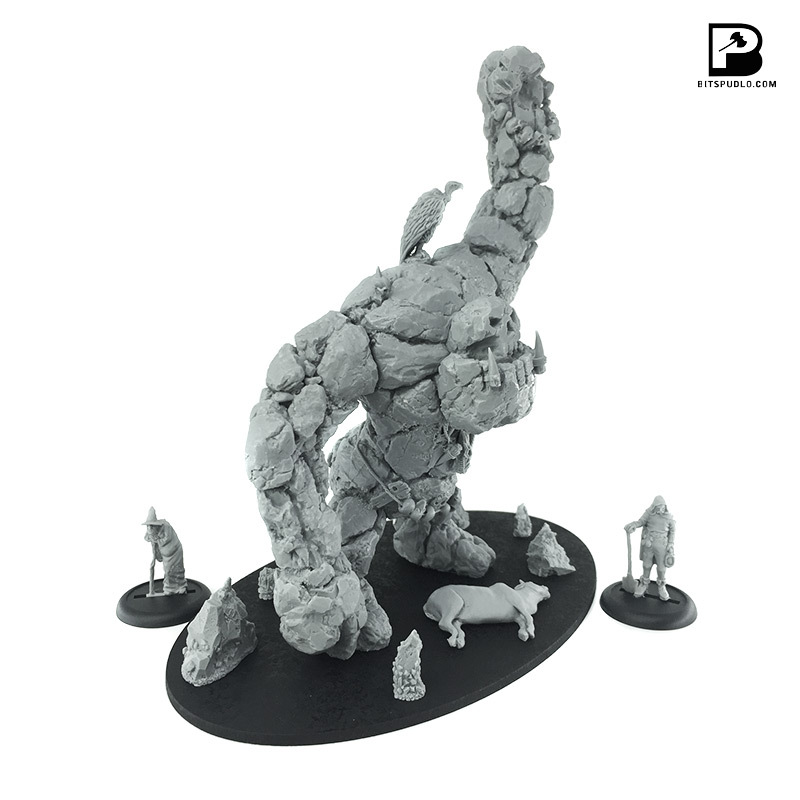 Humongous orkish idol brought to life by the power of twisted gods of war and mayhem. 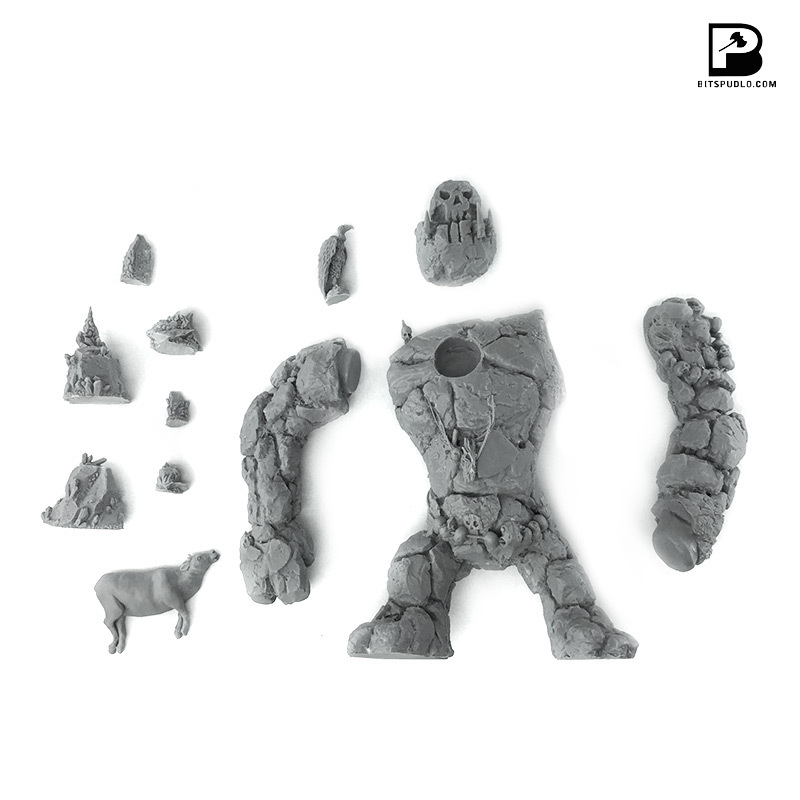 The ancient essence of destruction incarnated in form of giant elemental! 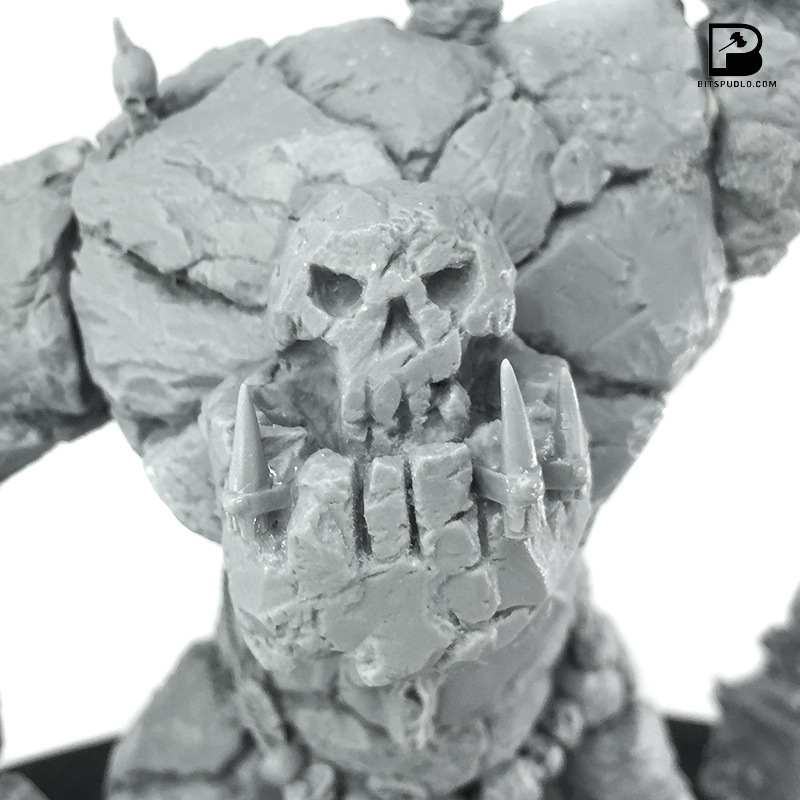 Ahle Ghruda, ork demigod was awakened! This set contains 1 highly detailed, multipart model and 1 HDF oval base with rocks and offering. 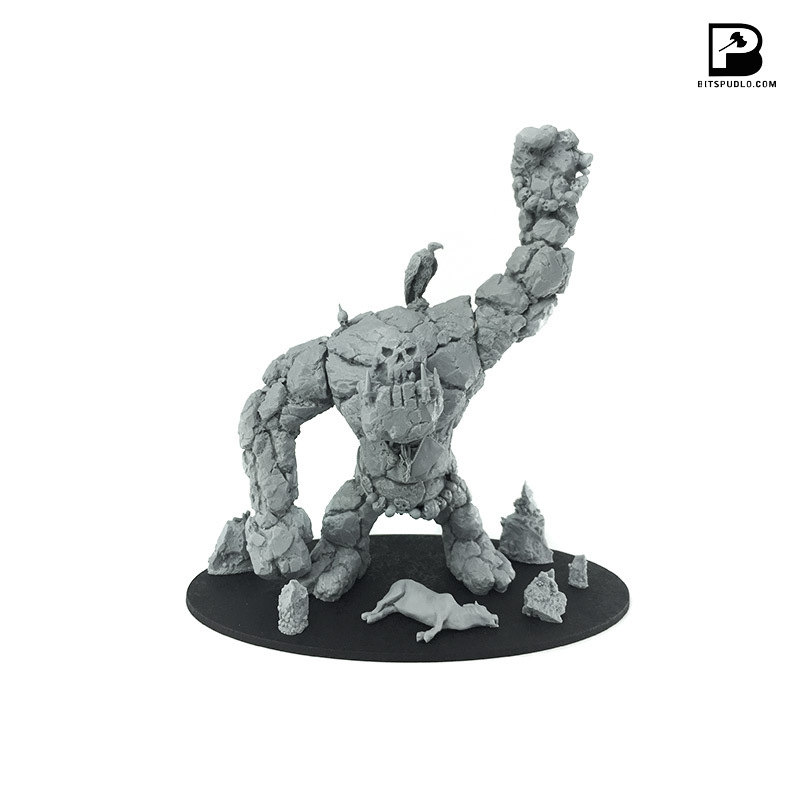 Ahle Ghruda models is 12cm high (to shoulders!). Resingurg Citizens models are shown only for scale purpose. Available separately. 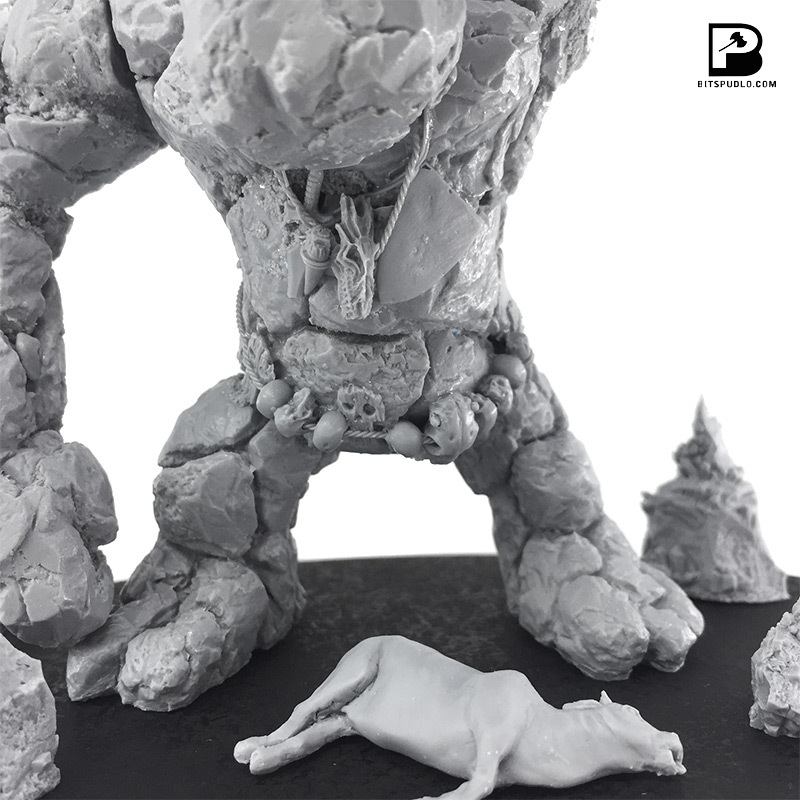 Master model by Paweł Zdanowski.